Classic Venetian millefiori discs supplely strung between a mix of semi-precious stone rondelles and set between sterling silver heishi tubes. 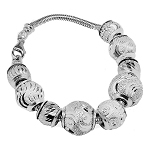 A sterling silver lobster claw and two inch extension allow for adjustment from 6 to 8 inches in length. 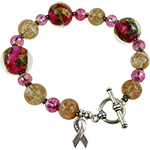 Complete with our signature gondolier charm. 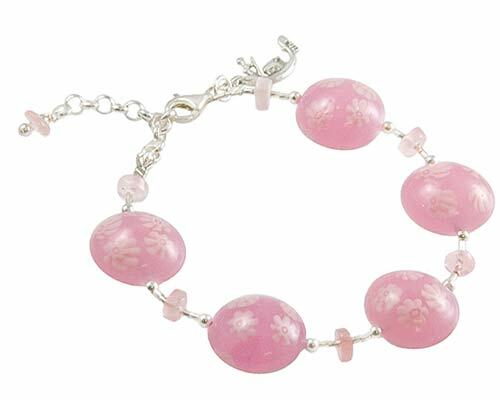 Color shown: Pink Millefiori Discs with Rose Quartz Rondelles.